Welcome on board in flight number 0116 leaving for Bright Future across inter-continents. 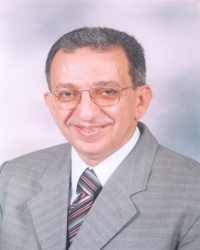 Your Captain is Ahmed F. El-Sayed; Professor of Aerospace and Mechanical Power Engineering; Zagazig University, Egypt. Captain was born in Zagazig city where he played with kites, but always asked where is the heart of an aircraft? I knew it is its engine after studying in Aeronautical Engineering Dept., Cairo University. I came closer to engines when I worked for EgypAir. Having Cairo, Egypt as HQ, I started flight history in four continents: America; USA, Europe; UK, Belgium and Austria, Africa; Libya and Asia; Syria, China, Japan and Russia. Fascinated by aircraft propulsion and gas turbines I wrote two books having same title. Other research included renewable energy and automotive. Short trips to domestic destinations included many Egyptian institutions. Now fasten seat belt we are landing and hope to see you in other life trips.